Come experience backcountry skiing in South America, where powder covers the lofty peaks of Patagonia’s gorgeous Lake District during the height of Summer in North America. With the stunning scenic landscapes, undiscovered terrain and charming Argentine backcountry lodges, this is South America's ski touring heaven! This 8-day Ski Mountaineering expedition includes nights at rustic and cozy mountain refugios (huts)..
Dine on fondue, pizza, famous Argentine steak and chocolate then wash it all down with a stunning Argentine vino tinto. Arrive at Bariloche International Airport, the gateway to skiing in Patagonia, where you meet your Argentina ski guide and head to our local hotel on the beautiful shores of Nahuel Huapi Lake. San Carlos de Bariloche is an active tourist city, often referred to as the “capital of Patagonia”. The city is famous for wine, steaks, homemade chocolates, and a very late nightlife. A hearty welcome dinner awaits you this night. With a little help from a ski lift from the Alta Patagonia - Catedral Ski Resort, we get a head start on our backcountry Patagonia ski adventure deep inside the National Park Nahuel Huapi. We will ski from Alta Patagonia to Refugio (Hut) Frey. Located at the base of the Frey Spire and on the banks of a frozen lake, this ski hut is legendary for its rustic architecture and its adventurous lore, not to mention the awesome views! Skiing in Argentina doesn’t get better than this! Two full days of skiing Argentina’s excellent backcountry terrain around Refugio Frey, including steep chutes between granite spires and wide open bowls of untouched powder. We may ski up to Laguna Schmoll, past the ‘soccer field’ and descending the Rucaco Valley, or go skiing around the impressive Campanille Spire. These will be epic days of backcountry skiing in Patagonia! We leave Frey Hut behind and ski over the pass towards Jakob Hut. This ski journey includes some traversing, a wicked ski descent and a section of travel through the incredibly picturesque lenga (southern beech) forest. From the top of Paso Brecha Negra we’ll see all the nearby and far Chilean peaks, the laguna Jacob and the hut (refugio), just below us, inviting us for a fantastic ski descent to its door! A great day of point to point Argentina skiing in the backcountry! We will ski around Refugio Jakob , with a terrific ski tour to Laguna Los Témpanos and the powder bowls that centre around this rocky cirque. A climb up to the top of Cerro Cella will give us up-close views of the nearby giant, Mt. Tronador and Cuernos del Diablo. Another day of epic backcountry skiing in Argentina! After a short morning ski, we strap our boards to our horses and hike down valley where a shuttle awaits us to San Carlos de Bariloche. We return to our hotel for a relaxing farewell dinner and if you are up for it, a night on this famous South America ski town! No place parties like Bariloche! With afternoon flights out, feel free to sleep in or do some last minute souvenir shopping and exploring around the streets of San Carlos de Bariloche. Excellent gifts such as leather goods, homemade chocolate, delicious wines, and more are available on every corner. Afterward we take you back to the airport to catch your flight back home. **Please note the above itinerary is to be used as an idea of how the trip will flow. Group dynamics, snow conditions, and weather my alter our routes and objectives. 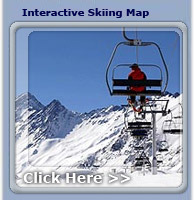 Professional, certified North American & European ski guides, Airport pick-up and local transportation, Hut fees, Lift pass, All meals, All Accommodations, Horses for out-trip. Round trip international flight to Chile or Argentina, airline/airport fees and taxes, required travel insurance, end of trip gratuities to your guides, drinks, and lunches, any required equipment for your trip. Price: Call or a price. Will vary depending on group size.